It’s Official: Dog Law Passes! 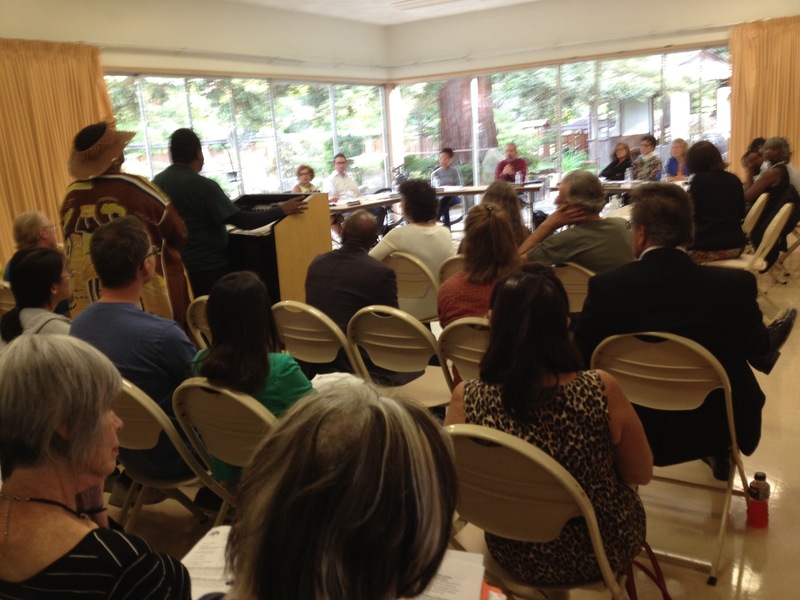 Last night, Oakland City Council unanimously approved a change to city law regarding dogs in our parks. The new law, effective immediately, allows for people to bring their dogs into a number of parks. Those awful “No Dogs in Parks” signs are going to start coming down soon! Our heartfelt thanks go out to Mayor Jean Quan, and Park & Rec Director Audree Jones-Taylor for their tireless efforts to get this change codified into law. SAVE THE DATE: We will be hosting a celebration with the Mayor on Saturday, April 19th, from 2 pm – 4 pm, at Estuary Park. At last night’s meeting, Council President Pat Kernighan cautioned that should any parks become problematic with people letting dogs off-leash in an on-leash area (particularly Lakeside Park), that City Council could revisit this new ordinance. So, please: respect the rules, clean up after your dog, spread the word, and bring extra bags for people who may have forgotten. Estuary Park – near Jack London Square. Last month, Oakland Parks and Recreation Advisory Commission (PRAC) unanimously approved a resolution amending the city code regarding dogs in parks. On Tuesday at 6 pm, City Council will consider making that resolution a permanent change to city law. There will almost certainly be people at this meeting who are against this proposal. So, we need dog lovers to be there! The meeting is in Council Chambers at City Hall. Parking is available a block away at Clay and 14th, and BART is one block away. In the proposed change, certain parks will now allow dogs either on- or off-leash, effective immediately (our five fenced dog parks remain unchanged). What that means is that, in those parks those awful “no dogs” signs will start coming down! We’ve been working with Parks and Recreation for a long time, and while it’s not every park we wanted, it’s a great step in the right direction toward making Oakland dog-friendly. Thanks also go out to Mayor Jean Quan, and Park & Rec Director Audree Jones-Taylor. Santa Paws is Coming to Town Again! This year, ODOG is partnering with local pet store Canine Comforts and Brotzeit Lokal to present out Sixth Annual Santa Paws benefit! Bring your kids, and bring your pups, and get your picture taken with Santa. Then, stay for brunch, lunch, or a beer on Brotzeit’s dog-friendly patio. Brotzeit is a new, waterfront restaurant and biergarten, and the specialize in hard-to-find beers. We’ve got a great, professional photographer lined up. We’re suggesting a $30 donation. You’ll get to sit with Santa and your dogs and/or kids. We’ll post the photos the next day online and email everyone the link. (behind the Homewood Suites, in the old Oyster Reef location). Brotzeit Lokal: A great waterfront biergarten that serves German food, and hard-to-find beers on tap. And, they have a dog-friendly patio! Canine Comforts: a pet boutique at Jack London Square, with great gifts! Home Away From Home small dog boarding: A great, Oakland-based dog sitting service, specializing in smaller dogs, and seniors. The proposed dog park at Snow Park (19th & Harrison) is finally on the agenda for the Parks and Recreation Advisory Committee (PRAC) for Wednesday, September 11, 4:30 pm. According to the PRAC Staff Report, staff is recommending that the Committee accept the approval of the Minor Conditional Use Permit for this project. The Snow Park site is the spot that Mayor Quan, along with the Parks and Recreation Department, identified as an alternative to the Lakeview Park location (Lakeshore and MacArthur), that City Council deadlocked on last December. Snow Park is a lovely spot, and an ideal location for a neighborhood dog park, and would serve the Lake Merritt area well. The addition of the dog park would be part of a complete overhaul of the park: adding park space, improving existing amenities, removing a road, and making it more accessible to the parkland across the street at the lake. As with any project in Oakland, there are a few people against it, and this dog park project, along with the overall improvements to Snow Park is no different. We know we’ve asked you to come to many meetings, and we’re going to ask one more time. Please take time to come to this meeting. We’re way down on the agenda, so if you can’t make it for the start of the meeting, that’s OK. Just come! The project’s opponents will definitely be there. Remember to fill out a speaker’s card when you arrive, even if you don’t want to speak. You can always cede your time to someone else. As always, we thank you for your continued support! Hopefully we’ll be socializing in this flagship dog park very soon! The city is proposing a portion of Snow Park at 19th and Harrison as a possible location for a new dog park (instead of Lakeview/Astro). The dog area would be about half an acre, have an architectural fence and all the usual features. 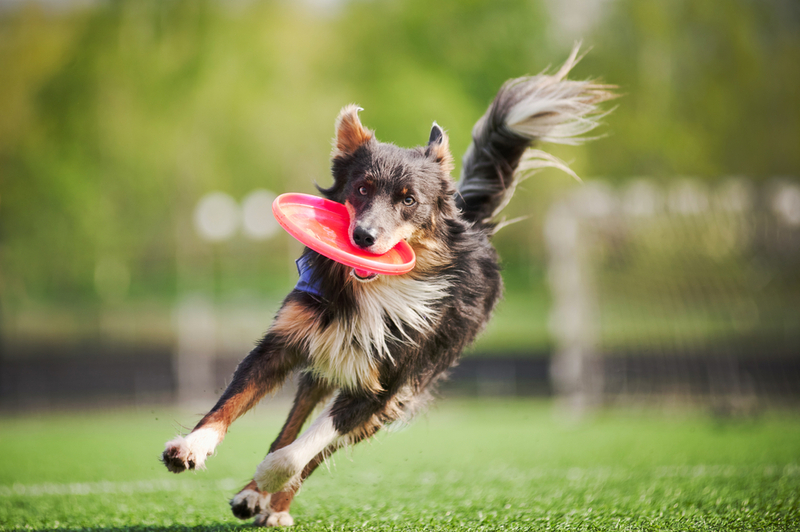 There will be a special meeting of the Parks and Recreation Advisory Commission (PRAC) to get public input on the site and show some very general plans about how the dog park could be included as part of a total revitalization and expansion plan for park. The plan looks good to the ODOG members who have seen it. The Oakland City Council will hear our appeal on Tuesday, December 4th at 5:30 pm. It’s very important that we have a large number of our supporters there. Please join us! City Hall is at One Frank Ogawa Plaza (14th & Broadway). There is a parking lot one block away at 14th & Clay, and 12th Street/City Center BART is one block away. If you need a ride to the meeting, email us and we will hook you up. This will be our last chance to get a small slice of off-leash space in central Oakland. 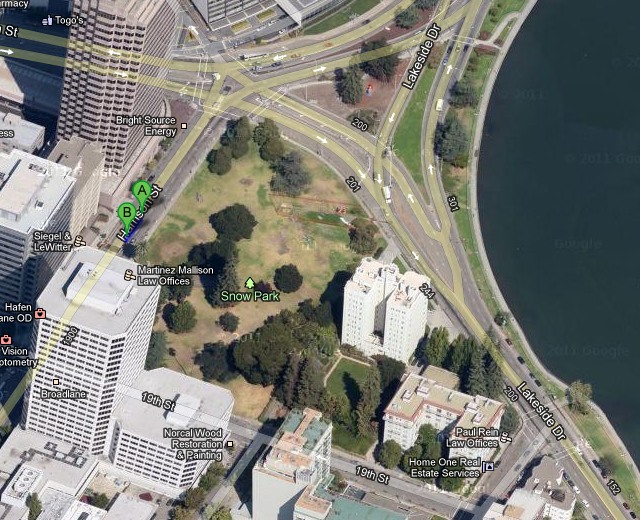 All of the parkland in the Lake Merritt area is completely off-limits to people with dogs, even on leash. All we are asking for is half an acre. Help us end this inequity. Come to the meeting on December 4th. If you want to speak, let us know. We’d be happy to help you with speaking points if you’d like. Write to City Council, and tell them to approve this park. You can email council@oaklandnet.com, use our handy form, send a handwritten letter to Council, Oakland City Hall, One Frank Ogawa Plaza, Oakland, CA 94612, Call your City Council member. Watch our videos, and spread the word to your friends. If you haven’t already, please join our Facebook page. We will keep you posted on next steps. Share our post on Facebook about this meeting, and tell your friends to come. If you’d like to volunteer to help, send us an email. 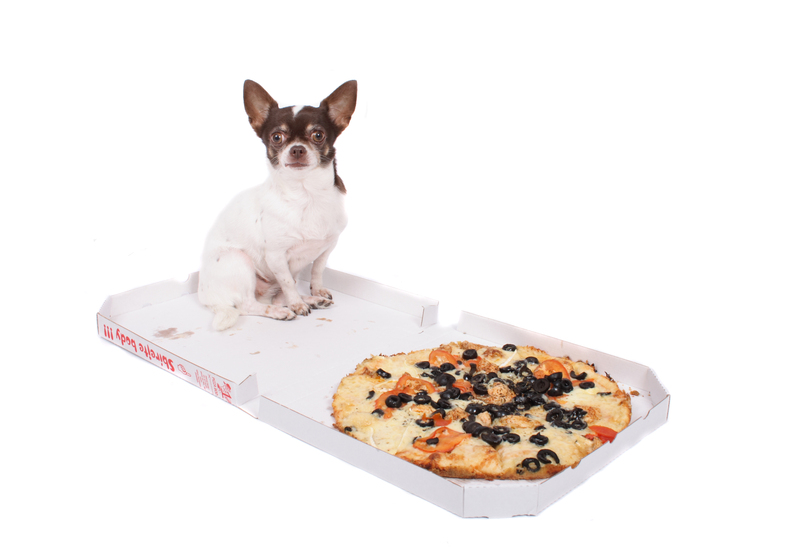 Pizza & Pooches: Space available: Join us! We’re having an event to discuss the proposed Lakeview dog park, and get letters to City Council. Meet your fellow dog-lovers in a beautiful, sunny private garden. We will provide all the supplies, and pizza and snacks, too. What: Pizza, snacks, and other refreshments. Bring your laptop or iPad if you want to send a letter electronically. Dogs: Very well-behaved dogs are invited to come, too. As this is a private garden, dogs who love to dig may want to stay home. City Council candidate Sean Sullivan, a strong supporter of ODOG will be available to take your questions. Mary Scott and Susan Snyder, who collaborated on a beautiful book of historical photos of dogs will be signing their book as a fundraiser for ODOG ($15 for a copy).